So there I was, blogging and blethering around here on WordPress, checking out Carocat’s blog; and she was talking about taking part in National Novel Writing Month (aka “NaNoWriMo”), and so I cruised over to their website….and that was the pebble that started the landslide. and iii) a 50,000-word draft of that novel you’ve been meaning to get around to writing one of these days. Well, I had been meaning to write a novel one of these days – well, about five novels I’ve been meaning to write – so I picked one* and jumped into NaNoWriMo feet-first, and before I knew it the waters had closed over my head. I did make 50,0o0 words, and it feels darned good to have accomplished so much; but it was a tough slog and took a lot out of me, and led to my neglecting this blog terribly. I’m free of bill-paying for another 30 (well, 24, if I were going to be more prompt about it next month) days – wheeeeeee!!! It’s not the money (well, sometimes it’s the money, but that’s a separate issue, and fortunately a more-or-less manageable one for now), it’s the physical act of paying the bills. I really, really, really don’t want to do it. Every month, it’s a monumental struggle to make myself gather up all the mail from wherever it’s dispersed itself to (this time was particularly bad), (open that mail), balance my checkbook, sort out which bills are from where and how much they’re for, w-r-i-t-e (this is the really hard part) o-u-t (I have to force myself to just get it done) t-h-e (it’s like pulling teeth) c-h-e-c-k-s, get the checks and payment coupons all into the correct envelopes with all the addresses showing properly in all the little windows, get stamps and return addresses onto them, and get them into the mailbox. And now I’m done with all that for the time being: I can feel the weight falling off my shoulders, the millstone and the albatross both lifting from around my neck, the clench relaxing away from my teeth…. …oh, boy. I think I’m going to go whirl around the room in ecstatic euphoria for a moment, and then collapse into a great big detensioned heap. My friend Alfie works in the greater Washington area, owns her own home, and does not particularly care for hydrangeas. Let’s say that her house is worth some number of items for potential barter, say, 2500 goats (unneutered yearling milking nannies in good health; for further details, see fine print). Since Alfie & Mr. Alfie had saved and traded carefully for several years, they had 500 goats to buy the house with, and they were able to borrow the other 2000 goats from the Bank Of Seat Pleasant (at a fixed interest rate of 200 goats per annum). Thus Alfie’s house payments are 20 goats per month, at which rate she will have paid off the mortgage sometime after all the present goats have gone to goatie heaven. 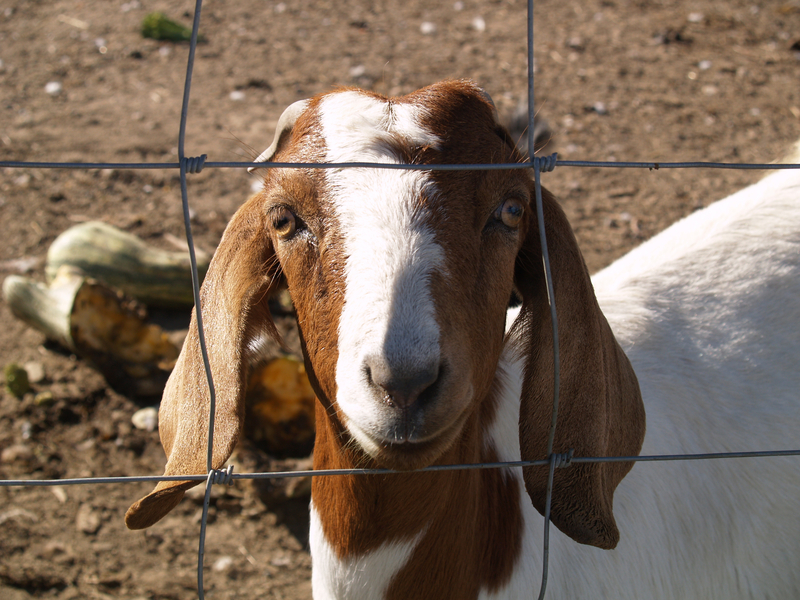 So what does the Bank of Seat Pleasant do with a bunch of goats?